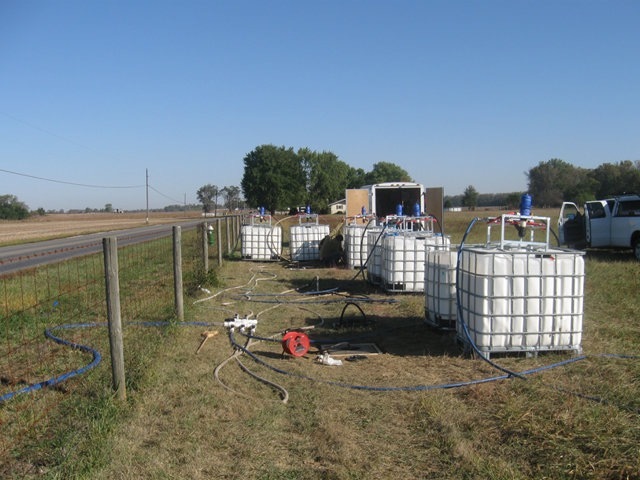 RESOURCE : EOS Case Study - EOS Asia Remediation Co., Ltd.
A large manufacturer in Indiana needed to remediate a long plume of TCE-contaminated groundwater, threatening a river almost 2 miles down-gradient of the source. Cut off TCE migration and reduce plume size in an economical, efficient and sustainable manner. Installation of 6 permeable reactive barriers (PRBs) along the plume transect using EOS emulsified oil substrates.